In addition to Pilates exercises, the Connexion Pilates studios offer other options for developing and maintaining a high degree of wellness: the Gyrotonic® method, massage therapy, Osteopathy and nordic walking. 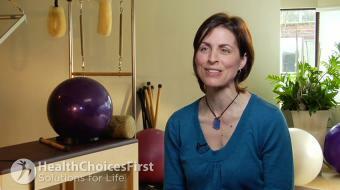 Pilates teaches body awareness, good posture and easy, graceful movement. It improves flexibility, agility and economy of motion. It can even help alleviate back pain. Developed from the rehabilitation techniques of Joseph Pilates, Pilates is a safe, gentle exercise system using a floor mat or specialized equipment. 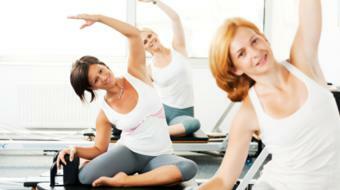 Whatever your age and physical condition, Pilates will get you in top shape. More concretely, Pilates emphasizes proper breathing and correct spinal alignment to strengthen the deep abdominals and the muscles supporting the spinal column (the core). By concentrating fully on smooth, flowing movement, you will become aware of how your body feels, where it is in space and how to control its movement. Forward-thinking doctors, therapists, trainers and health club owners know that Pilates is the leading edge in rehabilitation and fitness practice. They also know that the effectiveness of Polestar Pilates is based on demonstrated data. Built on scientific principles familiar to rehabilitation and fitness professionals, Polestar Pilates is taught by experienced professionals and offers excellent coaching support. It is centred on an analysis of each individual’s fitness level and encourages adaptation to various situations and creativity. Polestar Pilates measures instructors’ capacity to justify their exercise selections and individual treatment programs. All our instructors are qualified professionals who have obtained Polestar Pilates certification. They also have their own individual training experience. That is why we recommend working with different instructors. Polestar trainee rebate: encourage the next generation of Polestar trainers and save 20% on certain memberships! Are you a health practitioner that works at Connexion Pilates? Sign up with Health Choices First.